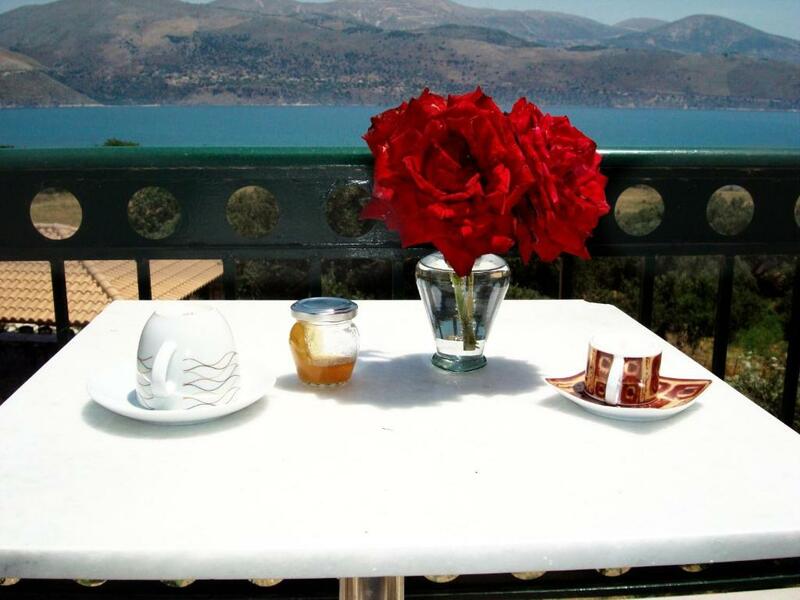 Comfortable, nice view and atmosphere, clean, close to town and amenities, very polite and helpful host. Beautiful location, really peaceful. My balcony overlooked the sea & mountains. Leah the owner doesn’t speak much English but we made ourselves understood & she couldn’t do enough for me. The apartment was spotlessly clean, well equipped & I was very comfortable. The apartament was big, very clean and beautiful. 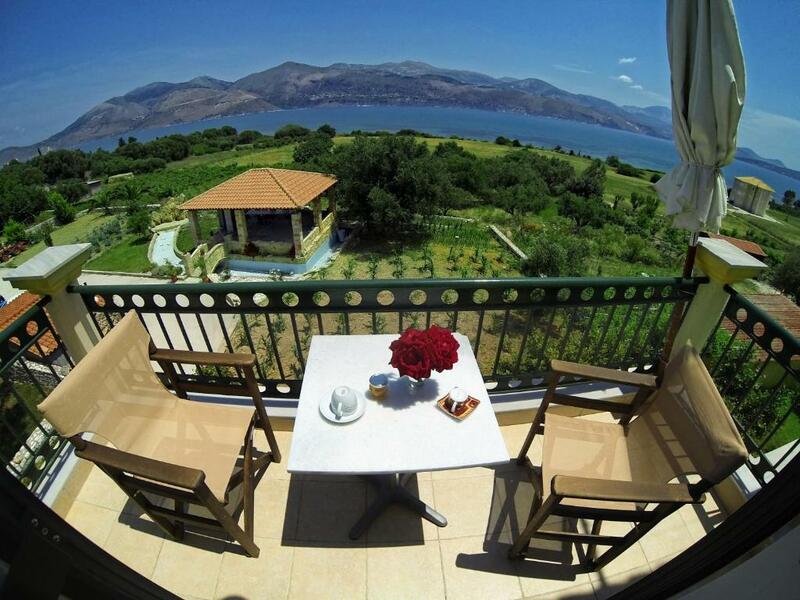 We had a balcony where we enjoyed our breakfast and dinner with an amazing view of the sea and mountains. The host is amazing, she took us to the port of Lixouri when we were returning home and she kept the apartament clean every dan and also extra fresh towels. Althought she doesn’t speak a lot english, we manage somehow to communicate with smile and gestures :) Although in the morning you will hear neighboor’s chicken and rooster but thourouht the day it can be really peacfull and calm, only hearing sound of birds and nature. I really reccomend it for the price and facilities. Lia was a great host - very kind and welcoming! She was there on arrival to give us the keys and show us around the apartment and offered us lifts to and from places. The apartment was perfect for the two of us, bathroom + open plan kitchen and bed. The views from the balconies were incredible!! We had one mountain view balcony and one sea view balcony- each perfect for evening and mornings. 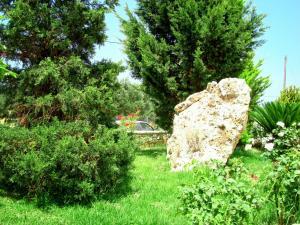 The apartment is a 15minute walk from central Lixouri with some smaller supermarkets/food outlets nearer. Lia is the best hostes, apartmant is big and very clean, it has everything you need and more! Location is good, view at sea is amazing! Wi fi is perfect! Άριστη αντιμετώπιση πελάτη. Νοιώθεις σαν το 'σπίτι' σου. Σίγουρα θα το επισκεφθώ ξανά. Η ζεστή φιλοξενία της κας Λίας η οποία ήτα πρόθυμη να με εξυπηρετήσει για να έχω μια άνετη διαμονή, Καθημερινή καθαριότητα. Ποιοτικά και καθαρά σεντόνια και κουβέρτα, Καλός εξοπλισμός της κουζίνας. Ωραία θέα προς θάλασσα και δένδρα. Ωραίος κήπος . Es war ein schöner Urlaub. Gut fanden wir das man lange schlafen konnte ohne gestört zu werden. 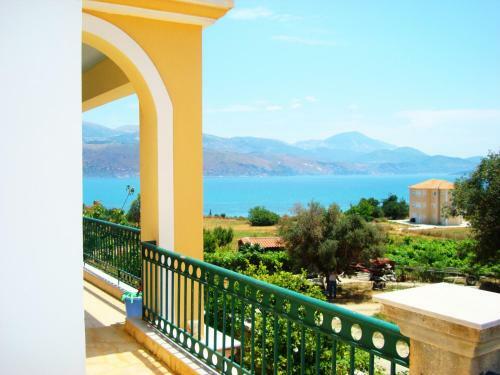 Lock in a great price for Remenata – rated 9.6 by recent guests! 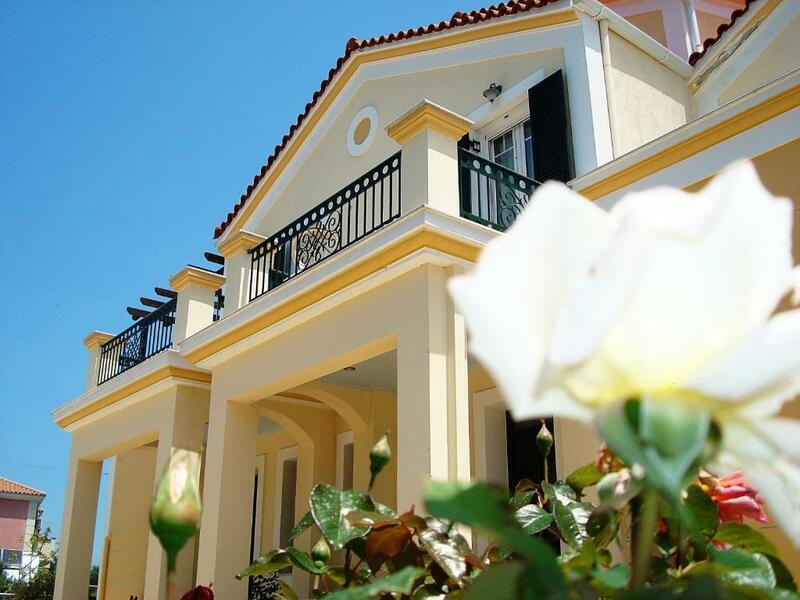 Remenata features self-catered accommodations with free Wi-Fi and balcony overlooking the Ionian Sea, the mountains and garden. The center of Lixouri is 2,300 feet away. 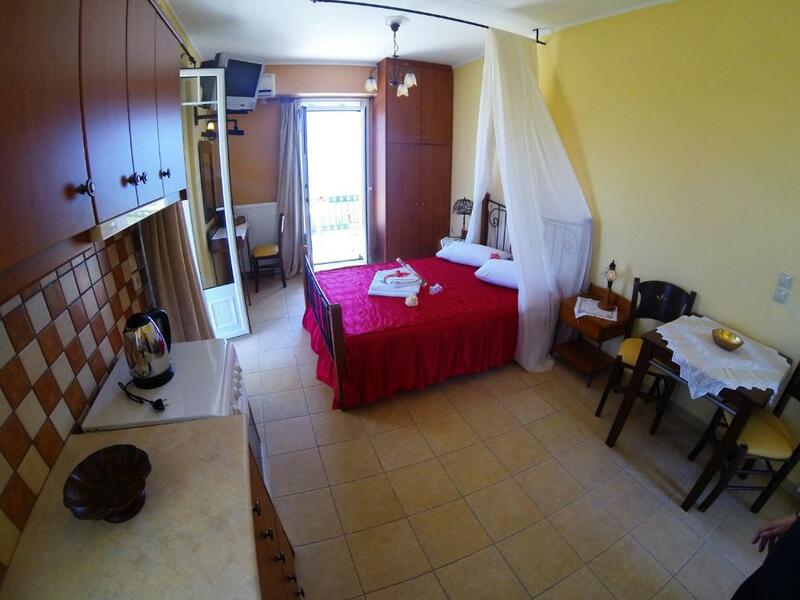 A kitchenette with stove, microwave oven and dining area is provided in all accommodations types at the Remenata. A flat-screen TV and air conditioning are included. Guests can relax on the sun terrace. BBQ facilities are also provided for al fresco meals. Lepeda Beach is at 1.2 mi. Boat trips connect Lixouri with Argostoli, the capital of Kefalonia. Kefalonia Airport is at 26 mi. Staff can arrange car rental and free private parking is available at the Remenata. When would you like to stay at Remenata? 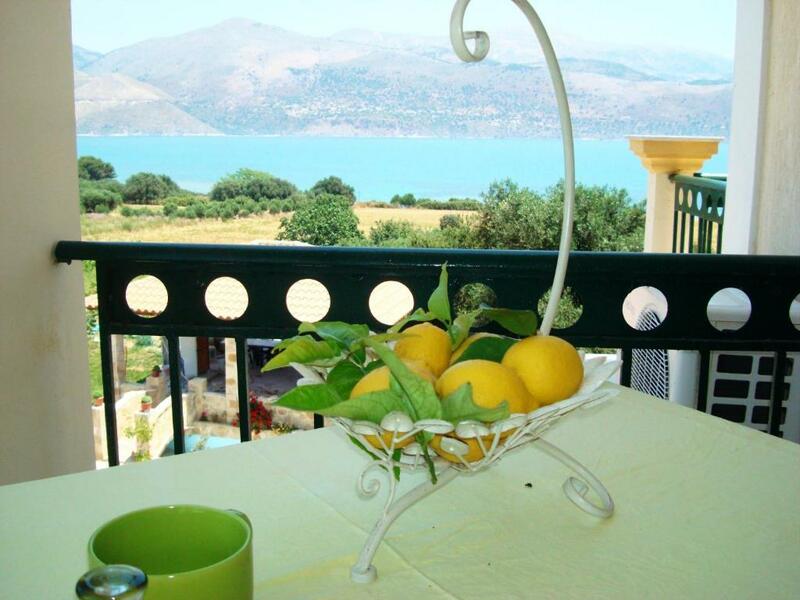 This air-conditioned studio offers free Wi-Fi and balcony overlooking the Ionian Sea, the mountains and garden. A kitchenette with stove, microwave oven and dining area is provided. Spacious accommodations with separate bedroom and living area. 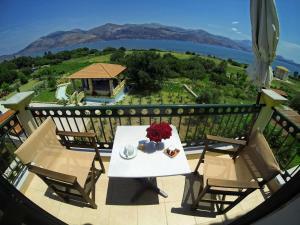 Offers free Wi-Fi and balcony overlooking the Ionian Sea, the mountains and garden. A kitchenette with stove, microwave oven and dining area is provided. House Rules Remenata takes special requests – add in the next step! One child from 12 to 18 years is charged EUR 3 per person per night in an extra bed. Remenata accepts these cards and reserves the right to temporarily hold an amount prior to arrival. Please inform Remenata of your expected arrival time in advance. You can use the Special Requests box when booking, or contact the property directly using the contact details in your confirmation. It’s too far out of the centre of Lixouri to walk but a taxi was only €5 each way. The location was perfect for me as I wanted to rest. Nothing to complain, only that we stayed only 3nights! If I HAD to write a negative comment it would be that the aircon was a little temperamental but this did not really bother us.